Hey, y’all! I bet you’ve always wanted to own your very physical copy of Dead Babysitter: The Comic. Well, do I have news for you! 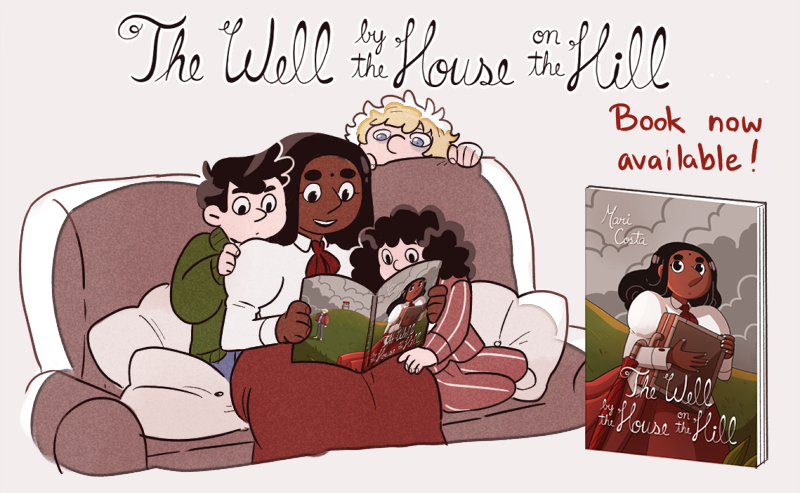 That’s right, The Well by the House on the Hill is now available for purchase in PDF or softcover book (while supplies last!) right here! The comic contains not only the complete story, in its full colour glory, but an exclusive 5-page bonus comic and some fun extras like concept art and illustrations! I have my own copy with me and it looks wonderful! I'd like to thank Megan Lavey-Heaton, Isabelle Melancon and the Hiveworks for making this possible! Thank you!